Price includes Carry Bag & Graphic Case. 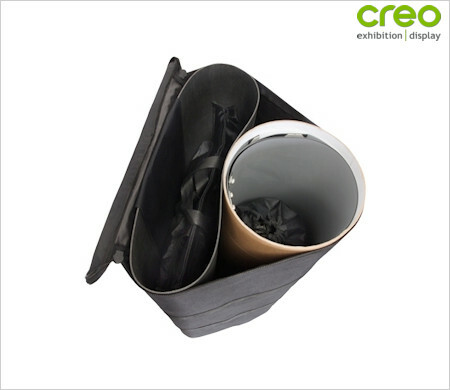 Popup counters are the perfect lightweight exhibition solution. 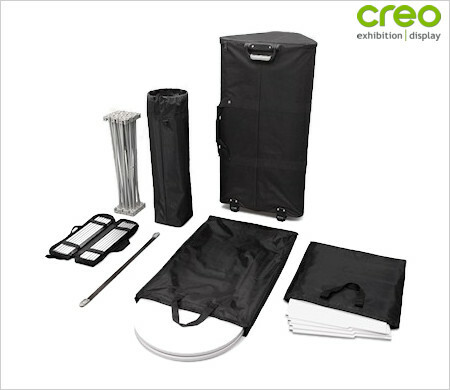 Easy to assemble, highly portable and great value for money. Quick to dismantle - each stand can be packed away in minutes into the supplied carry cases, cutting down on transit costs. All units are quality assured with a 5-year guarantee. Fully magnetic 1 x 3 anodised aluminium straight structure providing simple quick construction with exceptional load bearing capability and counter stability. Generous counter top work surface 685mm(w) x 365mm(d). Shelf openings 285mm(h) x 300mm(w) for easy access. Dimensions 1025mm(h) x 685mm(w) x 365mm(d). Net weight excluding transit carton & graphic 18kg. Uniformly distributed loading of assembled kit tested to an impressive 80kg. Counter top 42.5kg and Shelves 12.5kg each.